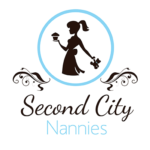 Second City Nannies, is a full- service childcare agency, serving families in Chicago. We create the most suitable match between a nanny and family, by focusing our efforts on providing excellent nannies for your most prized possessions. Through the years we have created lasting relationships with different families that have trusted their children in our hands. We can’t be more stoked to share our knowledge and expertise with new families.